The popularity of TYM tractors reflects the incorporation into each model of excellent features such as standard, user-friendly controls that make all TYM tractors very simple to operate. 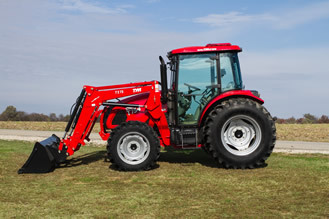 TYM’s range of tractors extends from 24 hp to 100 hp models, with most cab models fitted with air conditioning as standard. 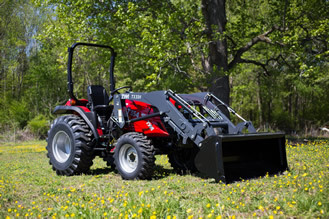 Every model in the extensive range of TYM tractors has earned a reputation for quality, reliability and value for the money in areas as diverse as stadium management, golf course maintenance, and equestrian facilities management. TYM is also the tractor of choice for commercial contractors and the most discerning of hobby farmers and ranchers. All TYM tractors are backed by a full-service parts dept in the US as well as technical support and a five-year manufacturer's warranty as standard! 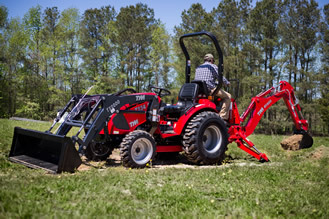 A TYM tractor takes everything in its’ stride and performs as good as it looks, equipped with world-renowned power trains and incorporating the highest quality framework of all tractors in its’ class. TYM provides exceptional quality and value for your money in one unbeatable package. So when you need something you can truly rely on, the answer is simple - the answer is TYM! Because.......QualiTYMatters!! Please call or email for current promotions deals and prices - Easy financing available. WITH PREMIUM QUALITY IN THEIR DNA.